It’s documentary week here at Smooth Harold, and this is one I’ve been wanting to see since it first premiered in NYC in March. It’s called Helvetica, and it’s all about type and design. Unfortunately, I’ll have to wait until it hits DVD as the film is only showing on the artsy fartsy coasts. Any one else seen it? 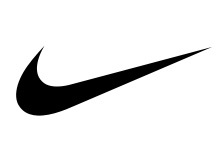 As a young boy, I used to dream about being a shoe designer for Nike. Something about “tennashoes” always fascinated me. I loved sports and I guess I really believed or wanted to believe that my kicks could help improve my athletic performance. So I drew shoes. I entertained and acted upon that dream from grade school to my late middle-school years. I would seclude myself in the corner of my shared room and draw shoe mockups with only a pencil. I must have gone through dozens of notebooks. Finally, when I was about 11 or 12 and through my own initiative, I decided to look up Nike’s corporate address and send them my work.